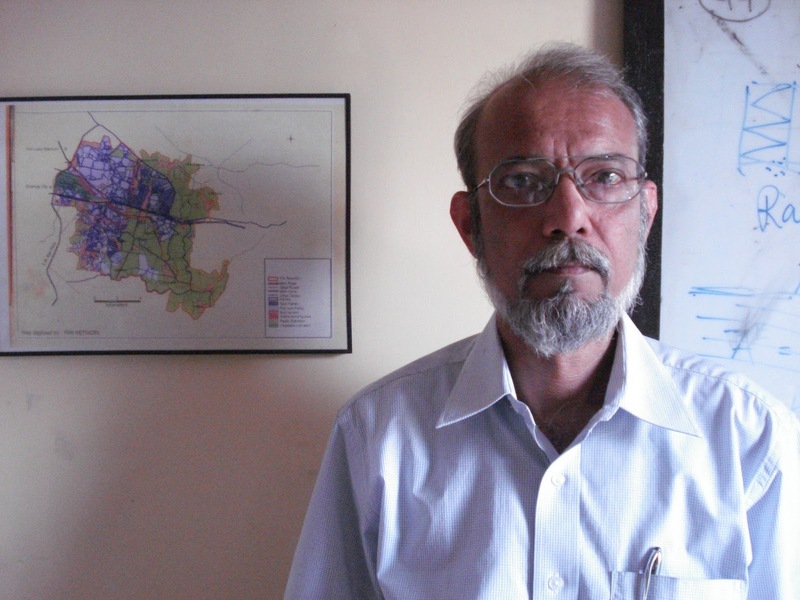 An interview with Professor Gautam Gupta, Department of Economics, Jadavpur University conducted by Vikalp team member Suchetana Chattopadhyay in Kolkata, late April 2017. SC: Professor Gupta, in these draconian times outlined above could you please explain to our readers what the West Bengal Universities and Colleges (Administration and Regulation) Act, 2017 stands for? GG: This act, passed by the West Bengal Legislature in 2016, while not addressing the issues of representation and governance structures directly, has sweeping implications for governance of Higher Education in State-supported Universities and Colleges in the State. The highlights are: Over-riding power of the State Government to dissolve the Governing body of a college and appoint an administrator, other than colleges run by minorities; Provision to enforce attendance and punctuality including biometric attendance; Principal of a college to submit annual confidential report of performance appraisal of all employees; Every employee shall submit to the State Government a list of movable and immovable assets; Withholding of funds for failing to comply with any provision of this act; State Government can cause an enquiry or inspection into any aspect of a college or university; Code of conduct for students; Transfer may be ordered for teachers of colleges by State Government; All provident fund held hitherto in trust to be handed over to Government Treasury; In universities, all nominations by Chancellor must be done in consultation with State Government; Cessation of re-employment after attaining 62 years for teachers of universities; The State Government may revise the UGC recommended Pay scales; The State Government may regulate the expenditure of a University; All State funded universities to have uniform statues; Code of conduct for all employees of colleges and universities. SC: From your brief explanation, may we safely infer that this will spell the destruction of university autonomy, imposition of anti-democratic working conditions, squeezing of funds, criminalisation and victimisation of students and faculty and cuts in (or even vanishing of) pay and promotions? SC: Sir, in that case, could you tell us what the implication might be for Jadavpur University, the institution where we teach and which has a long history of lively protest culture and academic freedom? GG: Our University is already affected. Let me say a few words on the changing laws that have taken us in the direction of loss of autonomy. Jadavpur University became a University with the passage of The Jadavpur University Act 1955 in the West Bengal State Legislature. A comprehensive revision of the act was made in the form of The Jadavpur University Act 1981 under the Left Front Government. The Objective of the comprehensive revision was to make the governance of the University democratic, inclusive and transparent by including elected representatives of the stakeholders of the University community in the governance structure and by including several checks and balances to safeguard the interest of higher education and research. This meant faculty, staff and students had representative voices in the functioning of the University’s Executive Council, the highest decision-making body. Under the TMC-led State Government, significant changes in the governance of Jadavpur University has taken place due to the passage of two amendments to the Act in the West Bengal Assembly in 2011 and 2012. It should be noted that a separate Act was subsequently passed in the West Bengal Assembly in 2016 that has affected the governance of all state aided Universities and colleges. SC: Could you please explain the acts that governed the university between 1981 and 2012 in some detail? GG: The relevant Acts are: The Jadavpur University Act 1981 (1981 for short), The West Bengal University Laws (Amendment) Act 2011 (2011 for short), The West Bengal University Laws (Amendment) Act 2012 (2012 for short). The Court, according to the 1981 Act, acted as highest governing body, though largely ornamental and was chaired by the Chancellor. Ex-Officio members numbered 9, nominated members 10 and elected members 42. In 2011 and 2012, the TMC government brought amendments which significantly reduced elected representation in the Court. In 2011, ex-Officio members numbered 49, nominated members 13 and elected members 18. In 2012, the number of ex-Officio members remained 49 and nominated members 13 and elected members came to 20. Let us now look at the Executive Council. In 1981, the E. C, the governing body of the University with executive powers and chaired by Vice Chancellor had 5 ex-officio members, 1 nominated member and 25 elected members. In 2011 and 2012 ex-officio members were increased to 20, nominated members to 3 and elected members were reduced to 9 in 2011 and 10 in 2012. So a deep and significant slash in elected representation has been introduced. As for the Faculty Councils (of Arts, Science and Engineering), the recommendatory body at the Faculty Level and chaired by Vice Chancellor a similar curtailment of democracy has been in evidence. In 1981, the ex-Officio members were VC and all Heads, the nominated members came to 2 and elected members were 3 teachers from every department irrespective of academic rank. In 2011, the ex-officio members were VC and all Heads, nominated members remained 2. In the matter teacher representatives it was enacted that they will be included in proportion to the number of teachers working in a department: that is one teacher for the first five, two teachers for next 5, 3 teachers for the next 10 and 4 teachers thereafter. Two students and one research scholar were also to be included. In 2012, the Faculty of Interdisciplinary Studies, Law and Management (ISLM) was formed and all schools were brought under it. Ex-Officio members of the new faculty council consisted of VC and all Directors, one nominated member and one expert for every school. Elected members are to be one teacher from each school. It is to be noted that till 2011, the Dean, a Professor, was elected by Faculty Council members for a term of four years. The Deans are now selected, in accordance with the amendment of 2012-the electoral principle having been done away with. In 2012, it was enacted that a professor of the Faculty would be appointed by the Vice Chancellor on the recommendation of a Selection Committee consisting of one nominee each of the Chancellor, the Vice Chancellor and State Government for a term of three years. All seats for elected members are vacant till date. This is because the manner of election is to be prescribed by Statutes. JU’s first statutes of 1982 is inconsistent with 2011 and 2012 Amendments. Hence new statutes are needed to conduct elections. New draft statutes have been sent to the Chancellor for approval in 2013 and are yet to be approved. The new law of 2016-17 has provisions for uniform Statutes which will further reduce the democratic running of each institution of higher learning in the state. SC: Please explain the other changes at the highest levels of university authority. GG: Certainly. In 1981, it was enacted that the Chancellor would appoint Vice Chancellor on the unanimous recommendation of the Court. If the Court is not unanimous, it shall recommend to the Chancellor a panel of three names elected by system of proportional representation by means of preference voting and the Chancellor shall appoint one such person in consultation with Minister for Higher Education, Govt of West Bengal. In 2011, this was changed to the following: The Chancellor will appoint the Vice Chancellor from a panel of three names to be recommended by a Search Committee. The Search Committee will consist of one nominee of the Chancellor, One nominee of Chairman, UGC and one nominee of the University Court. The Vice Chancellor can be removed from office by the Chancellor by reason of insanity, insolvency, physical incapacity, misuse of power, criminal breach of trust, incompetence, criminal conviction, and political association. In 2012, in the Search Committee, the nominee of Chairman, UGC was replaced by nominee of the State Government. So interference of the government, strengthened by simultaneous weakening of the elective component of the Court, was institutionalised. SC: What about selection to teaching posts? GG: According to 1981 Act, the selection committee was to be constituted by two experts nominated by Executive Council, two experts nominated by Vice Chancellor in consultation with Dean and Head from standing list of experts and one expert nominated by Chancellor. According to the provisions of 2011 (as amended in 2013), the Selection Committee consists of one expert nominated by Vice Chancellor (chair of the committee), three experts from standing list nominated by Vice Chancellor, one expert nominated by chancellor, Dean and Head of Department. SC: Professor Malini Bhattacharya, retired Director of School of Women’s Studies and former Professor of English of this university has recently observed: ‘The 12th Plan period is coming to an end. The demise of the Planning Commission has ensured that no 13th Five-Year Plan for the nation is going to be there. All the institutions of higher education in the public sphere are on tenterhooks as to whether and how the support they are used to receiving for their sustenance from the University Grants Commission is going to materialise; it is said that the fate of the UGC itself is on the balance. At this tense moment when the vagaries of the UGC and the orchestrated arbitrariness of those in power at the Centre are spelling disaster for higher education, the state universities of West Bengal have received a message from the State Government in the form of the West Bengal Universities and Colleges (Administration and Regulation) Act 2017 which is likely to provide the coup de grace for them.’ Would you agree? GG: This is indeed a coup de grace for higher education. We must resist. Otherwise, this will be the end of the road not just for higher learning but also the critical mass produced in society through higher education. Academic autonomy is a strict requirement for this. SC: Thank you, Professor Gupta.